Our university experience has provided us with the skills and values we need to flourish as creative individuals in industry. So with our graduation looming, it’s time for us to ditch the training wheels. We’re all trying to be great designers but we’re also not trying to be anything we’re not. We know that we’ve only just scratched the surface of the design field. And we itch to know more. For our graduation exhibition, we want to be open about the way we think and work. Process typically remains hidden behind the polished final product—we want to turn the tables on the conventional approach and be open about what goes on behind the scenes. We offer a glimpse into the liminal space between idea and deliverable. Nothing is more crucial to creativity than process, so this is our chance to celebrate the messiness, the spontaneity, the experimentation, and the chaos of our design journey alongside our final work. Level 5, AUT School of Art & Design (WE Block), 27 St Paul St, Auckland. Description: In future, it is likely that everything will be connected to the internet. Our houses will be able to be automated and controlled remotely; artificial intelligence will improve efficiency and safety. Well-designed user interfaces and experiences will have a significant impact on the success of these developments. This project is an exploration into how a smart home may be used by a family with the help of Alfie, an artificially intelligent butler. Alfie demystifies the smart home, making it accessible, secure, and trustworthy. Parents can painlessly ensure the safety of their home and children. Appliances can be used conveniently and effectively. The design is intended to be fun and easy to integrate into everyday life, presenting a glimpse into a future that may be nearer than we think. Description: Multicoloured is an experimental photographic series, analysing the ethnic identities of 30 individuals. The focus of this is to challenge what it means to be a multiracial or multicultural person in New Zealand, and explore how these connections are made when living in an ethnically diverse country. It is not uncommon for young creatives to have no idea what design is, with 94.74% of University Design students saying they found the Design and Creative industry to be broader and further reaching since starting their studies. 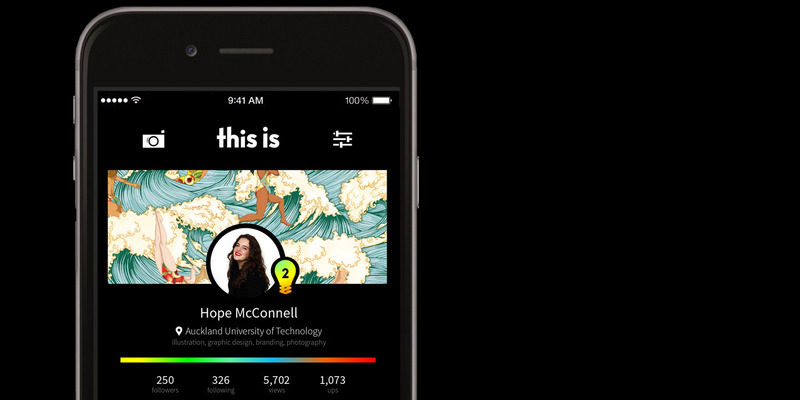 I provided a solution to this issue by developing a social media app. ‘This Is” will encourage education about the diversity and importance of Design and create an engages Design community of Secondary and Tertiary students within New Zealand. Accompanying the app, I created an animated advertisement that will generate excitement and encourage users to take Design education into their own hands. My project is to design a science-fiction based video game titled as AfterDark, set in an imaginal man-made dystopian planet that is dominated and colonized by a powerful authoritarian space organization. 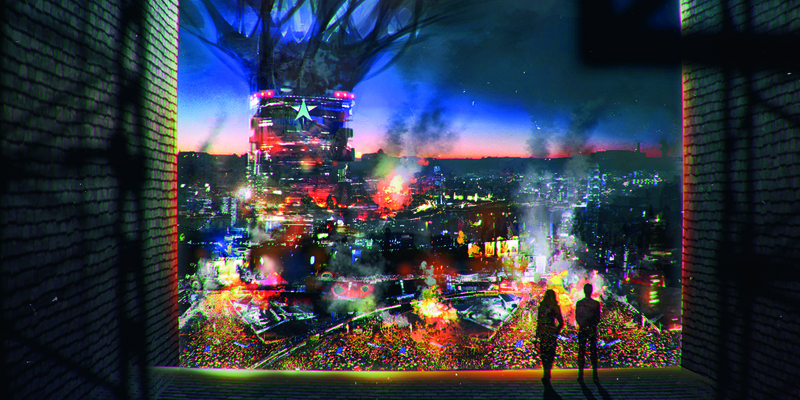 AfterDark’s world-view and concept art will be the two main focuses within this project; lots of design aspects such as the characters, environment, and storyline have referenced the 79-day pro-democracy protest occurred in 2014 Hong Kong, known as the Umbrella Revolution. Ur: is a queer café concept crafted from the voices and needs of New Zealand’s LGBTQIA community. 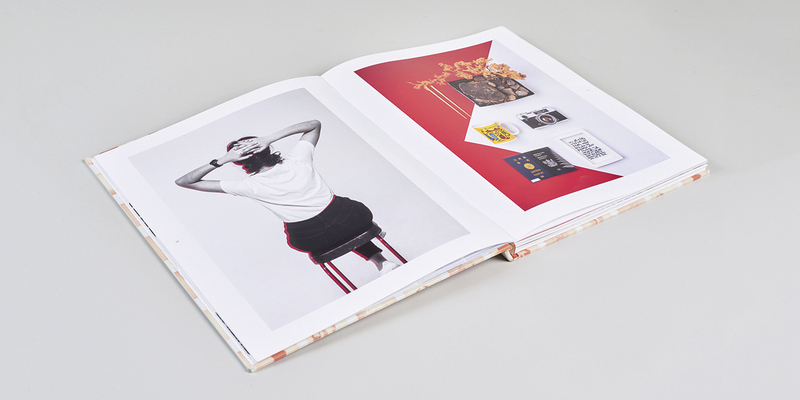 The branding and spatial planning process was heavily influenced by human-centred design and ethnography practices. Ur: is not just a café, it’s a safe haven for those who when they came can be guaranteed that they will always be welcome. Colour has the ability to affect human behaviour and influence perceptions. It can draw on our past experiences, and impact our decision making, purchasing behaviour and relationships with our surroundings. This research project explores the field of colour psychology, investigating factors that can influence our views, and aligns them with the gender stereotypes we are consumed by in society. Traditional gender stereotypes have major implications on the way women and men are respectively treated, and have, in turn, created social norms for how you should dress, speak and even act. The standards are substantially higher for women, and these unattainable expectations can have serious negative impacts on women and also those who identify as female. This project aims to encourage freedom of sexuality/gender choice, and the support of gender equality. 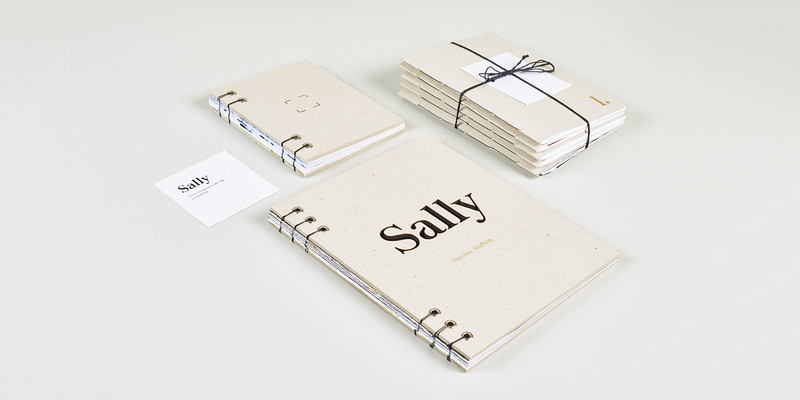 Sally (v.) to set out on a side trip or excursion. 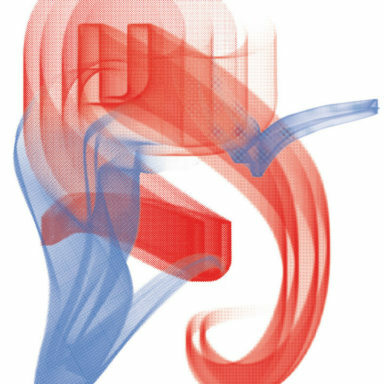 This excursion through typography highlights my experimentation and growth within type. Using a range of materials and mediums, I discovered new techniques and outcomes. 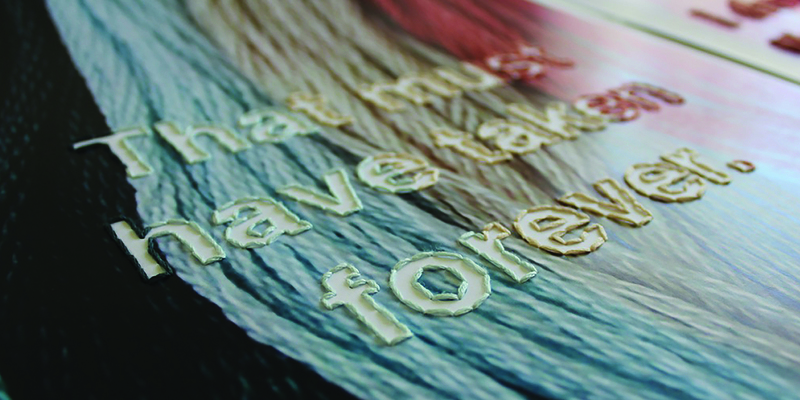 Showcasing my best works, I demonstrate how I have developed each typographic piece. I hope my journey inspires you as it uncovers the beauty of type in its realness and design. 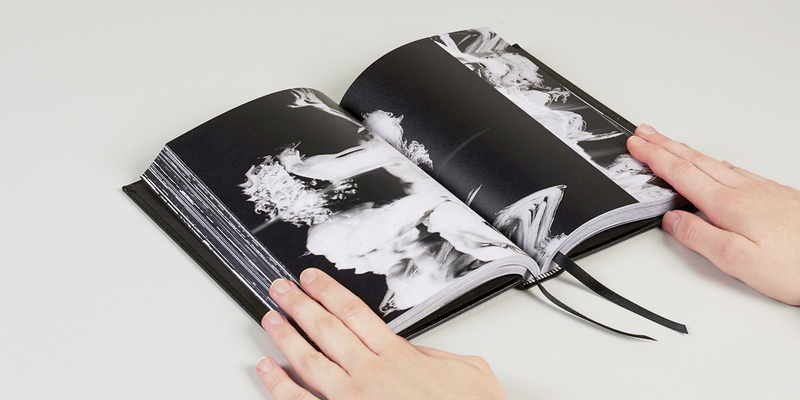 A series of explorations of the intersection between communication design and textile craft. 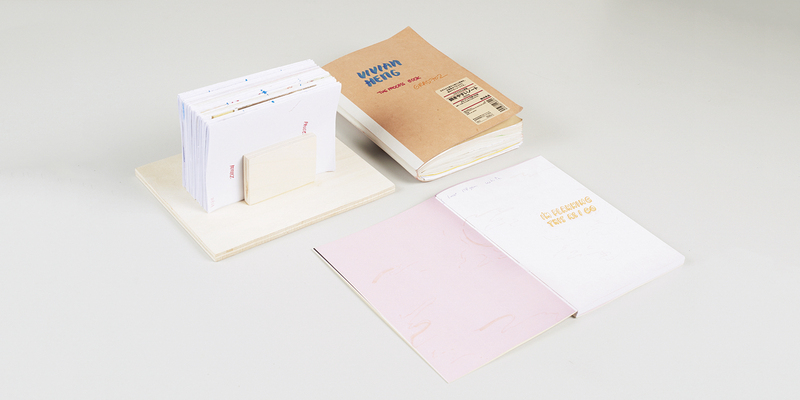 This project is centred around the value of craft. I wanted to uncover how the combination of two practices – communication design and textile craft can alter the way people interact with design. It began with an interest in cultural practices and led to a series of posters focused on phrases commonly heard amongst the craft community. The final pieces are intended to encourage interaction between the poster and audience. The beauty of craft is embedded in the process – the pleasure that comes from making something from scratch that cannot be exactly replicated. I’m Planning This As I Go is a project that is all about reconnecting with the pen and paper. Re-engaging with the tactile experience and being less dependent on the digital medium. Far too many times, I have let the digital medium do my design work for me, rather than it being a tool to assist my design decisions. In consequence, I catch myself designing the same way, never pushing my design abilities further; adopting a constant creative block. I’m Planning This As I Go, challenges my old habits and forces me to think freely and differently. I learn to embrace imperfections and be open to unexpected outcomes rather than aiming for perfection. This is a project of never-ending reflections, on-going dialogue of my process; a never-ending learning cycle. What is stronger than the human heart, though it breaks, it continues to beat. 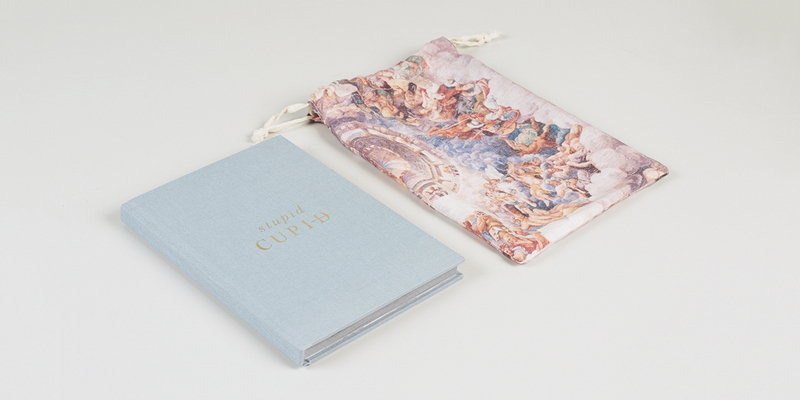 Stupid Cupid is a publication curated to effectively communicate the healthiest emotional & physiological way to journey through the disenfranchised grief of a romantic breakup. The purpose is to educate, support & benefit the emotional well-being of the end user. Colour by Film explores the use of colour in New Zealand film and the emotional response an audience can feel through this application. 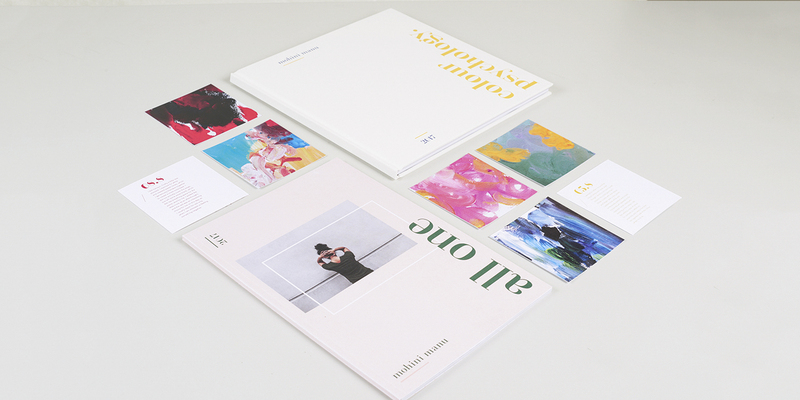 A collection of four books have been designed to showcase specific colours and their corresponding emotions through film analysis, photography and type. 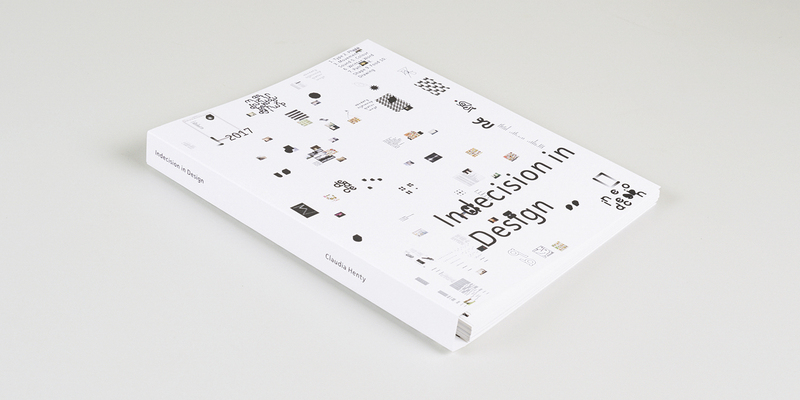 ‘Indecision in Design’ attempts to visualise indecision through creative experiments, within the context of graphic design. 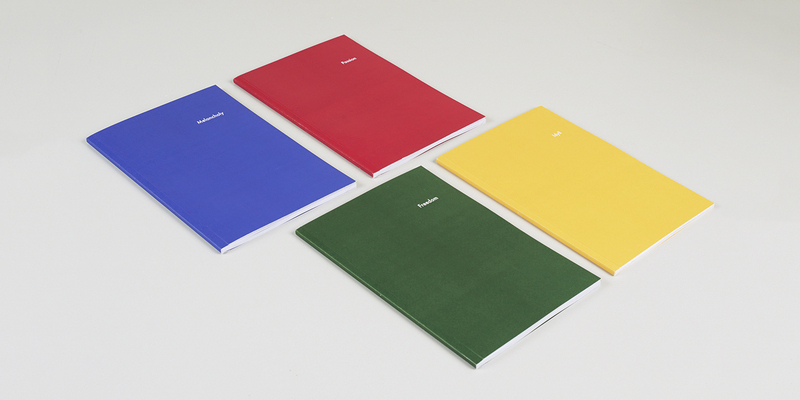 It explores what indecision looks like visualised, both through creative outputs and through daily life and routine. This collection of explorations helps to demonstrate how these ways of thinking lend themselves onto the creation of content in more logical and understandable forms. The intention behind this is to inform and showcase the ideas and visuals that can be produced when you stop over thinking and embrace inconsistencies and imperfection. 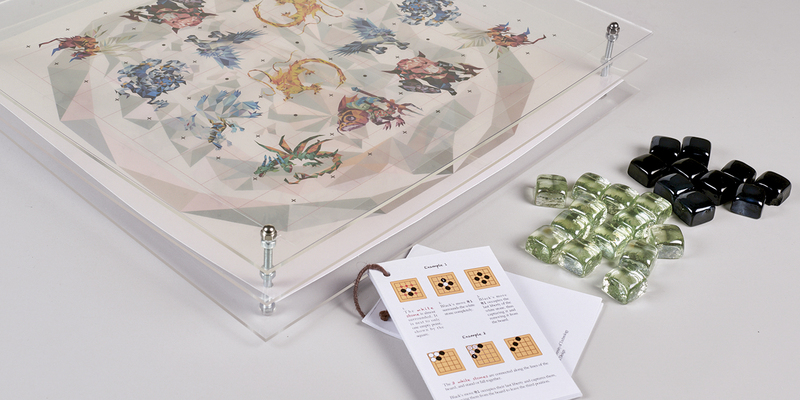 In this Communication Design Studio VI project, I have designed a new appearance of Go game including three components: the board, the playing pieces (stones), and the manual (illustration book). I have created a three-layer structure of the 42cm x 46cm board in acrylic and plastic sheet. I illustrated creatures and map on the top and bottom layers of the board, based on the originals from the book Shan Hai Jing and transferred them into the Low Poly style. I have used the black and clear green square as the playing pieces. This written work includes the ideas of design, introductions of the Go game, the classical book Shan Hai Jing, the popular Low Poly design style, my target markets, the features and challenges of design, also the reviews of two previous design work, and the final outcomes. 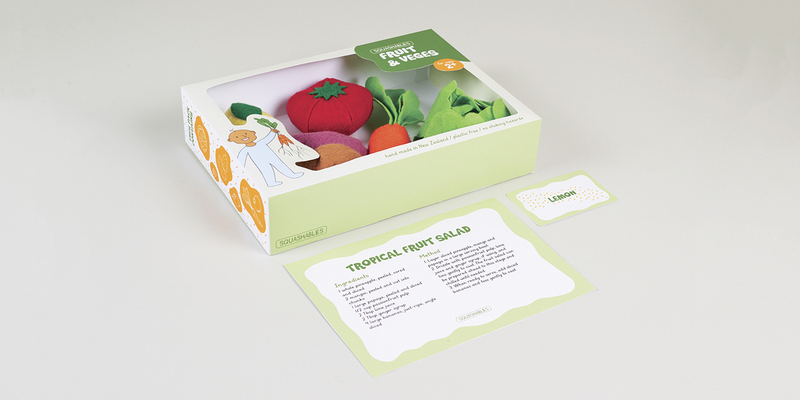 Squashables provides a plastic-free alternative to children’s play food, as well as encouraging children to take an interest in food from an early age. The toys are washable and free of choking hazards, making them appropriate for children of all ages. 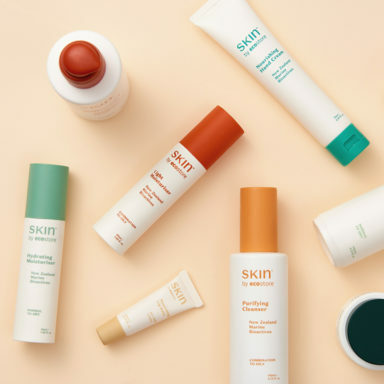 The packaging is free of plastic, meaning it will take only 2-6 weeks to break down (plastic takes between 450 and 1000 years). I chose to explore the works of the great Greek poet Homer. Taking his epic poem, The Odyssey, and exploring the themes, morals, lesson, myths and archetypes found within to draw parallels between Ancient Greek beliefs and society and modern-day beliefs and society. Visualising these concepts in a contemporary and captivating manner. Our project was created in collaboration with Alain De, a local jewellery brand based in Auckland. The work explores how design thinking can be used to adapt a brand’s business model to suit the circular economy. By doing so, our aim was to improve Alain De’s customer experience, ensuring that every customer interaction touchpoint with the brand was well considered. We created a ‘product as service’ model, where customers pay a monthly fee to rent jewellery from the collection and exchange them for new styles at any time. When jewellery is exchanged, Alain De recycles the materials and uses them to create future collections. This extends the product lifecycle and creates a sustainable model that suits the fast-growing circular economy.